March is here and that means it is time to start counting down to our favorite holiday—St. Patrick’s Day! 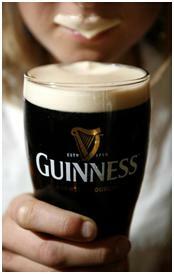 Break out your green clothes, shamrocks, and festive spirits and get ready to celebrate with Molly Maguire’s, where the Guinness is flowing and traditional Irish meals are warm and delicious! But before you put on that green sweater, Molly Maguire’s Black Point Inn is serving up some St. Patrick’s Day history! Did you know that the St. Patrick we all know and love every March 17 was born in Britain? At the age of 16, his world was turned upside down when he was kidnapped and sent overseas to tend to sheep as a slave in the cold Irish countryside for seven years. He later escaped, but then returned to Ireland and was credited for bringing Christianity to the people of Ireland. His death that is believed to be on March 17 became ingrained in the Irish culture. The most well known legend of St. Patrick is that he explained the Holy Trinity, using the three leaves of a native Irish clover, the shamrock. Since around the ninth or tenth century, people in Ireland have been observing the Roman Catholic feast day of St. Patrick on March 17. The religious feast day was celebrated to mark the anniversary of his death in the fifth century. The Irish have observed this day as a religious holiday for over a thousand years! Since St. Patrick’s Day falls during the Christian season of Lent, Irish families would attend church in the morning and celebrate in the afternoon. Prohibitions during Lent about the consumption of meat were waived, and people would dance, drink and feast on the traditional meal of Irish bacon and cabbage! Surprisingly, the very first parade held to honor St. Patrick’s Day took place on March 17, 1762 in New York City! Irish soldiers serving in the English military marched through the streets of the city. Along with the music that they played, the parade helped the soldiers to reconnect to their Irish roots, as well as with fellow Irishmen serving in the English army. Over the next few decades, Irish patriotism sprung up among American immigrants. 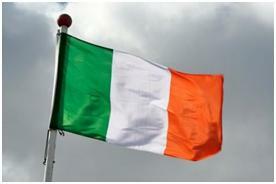 With the rise of this patriotism came societies such as the Friendly Sons of Saint Patrick and the Hibernian Society. Each group would hold annual parades where they featured bag pipes and drums! In 1848, New York Iris h Aid Societies decided to ban together to form one official New York City St. Patrick’s Day Parade. Today, the parade is the world’s oldest civilian parade and the largest in the United States, with over 150,000 participants! Each year, nearly three million people line in the 1.5 mile parade route to watch this impressive procession—which lasts more than five hours! Today, cities such as Boston, Chicago, Philadelphia and Savannah also celebrate with their own parades. With a holiday so rich in history, no wonder it is so much fun! 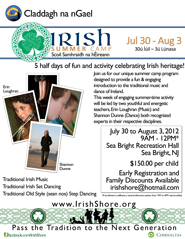 But don’t worry; you don’t have to wait until March 17 to indulge in a little Irish culture, come visit us in Rumson! Molly Maguire’s is here to provide you with a traditional Irish pub experience complete with delicious food, drinks, entertainment and warm hospitality. “Like” us on Facebook to see our specials!